A dark cloud of uncertainty continues to veil the future of the constitution-making process in Zambia. After a final draft constitution was completed in December 2013, there have been numerous calls from civil society and the opposition for the document to be made public. Recently, opposition members of parliament (MPs) disrupted normal parliamentary business when they demanded that the ruling Patriotic Front (PF) make the final draft available for public scrutiny. A private members’ motion was subsequently tabled on 7 March by the United Party for National Development (UPND) and the Movement for Multiparty Democracy (MMD). It was hoped that the motion would legally compel government to come up with a clear roadmap on the constitution-making process and expedite the public release of the final draft. However, the motion was rejected following a vote that the opposition lost, and Parliament was adjourned on 11 March until June 2014. This gives the PF in Parliament a brief respite from constitution-related pressures. Mandated in 2011, President Michael Sata’s Technical Committee Drafting the Zambian Constitution (TCDZC) completed its work in December 2013. In the same month, the committee was abruptly directed by the Ministry of Justice to print only ten copies of the final draft, and to hand these over to Sata. This was contrary to general expectations – including those of the TCDZC – that the handover of the draft to the presidency and the public is done simultaneously. Sata’s position on the draft constitution has since become precarious, despite his initial support of the process when he led the call for a new constitution in 2011. A senior party member and government official at the time, he was very influential in compiling the 1996 constitution that is currently in use. Many Zambians see the 1996 constitution as controversial and defective in that it does not support multiparty democracy. He was referring to a clause pertaining to the country’s proposed electoral model – otherwise known as the ‘50 %+1 clause’. If adopted, the clause could reduce the PF’s chances of winning in the 2016 elections since the PF, at the peak of its popularity at the country’s last polls in 2011, won 42% of the total votes cast. 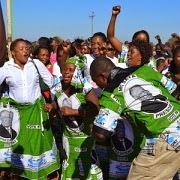 That the popularity of the PF has been on the wane was confirmed by some losses of subsequent by-elections. The second problematic clause is the presidential-running-mate clause. In a 2012 media briefing in Livingstone, Kabimba stated that the PF government would reject this clause. The PF also seems to oppose provisions concerning the appointment of ministers outside Parliament, since under its administration half the Parliament is also in the executive. The subsequent effect is a blurring of the separation of powers, weakening of government accountability and an unprecedented frequency of by-elections, owing to seats becoming vacant when ministerial positions are given to the opposition. Another sticking point is the age limit for presidential candidates. It was proposed that a clause be included to limit the age of presidential aspirants to 75 years. Sata is currently 77, and would under this clause not be allowed to run for presidency in 2016. The impasse over the public release of the draft constitution also raises questions regarding legal procedure; in particular whether a national referendum on the constitution would be convened – as required by law – once the Bill of Rights has been changed. Similar questions are being raised by civil society organisations (CSOs) that, despite government rebuff, have yielded a strong multi-stakeholder civil society force called the Grand Coalition on the demand for a People-Driven Constitution. Established in January 2014, the coalition is an amalgamation of CSOs, church bodies, unions and opposition political parties in Zambia. It was established to add pressure to the government to finalise constitution-making transparently, and in full consultation with Zambians. The coalition has demanded that the PF government compromises by enacting non-contentious clauses in the constitution; leaving contentious clauses for a referendum; and that at the very least, it accounts for the US$23 million already spent on the process since 2011. Another US$8,8 million has been put aside in the 2014 budget for preparatory works in the enactment of the constitution. But, with the on-going impasse, there is great concern that another super structure or commission will be created to replace the TCDZC. This would have additional financial and legal implications. In the interim, the Grand Coalition has since resolved to stage peaceful marches around the country and to develop an ‘alternative’ constitution roadmap to propose to the government during the course of the year. The outcome of this approach will likely hinge on government’s reactions to the demonstrations and overall public pressure. Currently, all eyes are on the opposition’s next move and whether another constitution-related motion is in the offing. The big lesson for the opposition in tabling such a motion would be that voting is a numbers game. The UPND has 33 MPs, the MMD has 36 and there are two independent MPs who could vote against PF’s 80 MPs (out of a 158 MPs). But the snag is that consolidated opposition numbers of about 78 MPs also include those serving as deputy ministers in the PF government, and they are likely to vote for the PF in parliamentary matters. A mobilisation strategy is thus needed. Two possible scenarios emerge. Government might come up with its own constitution roadmap before the next sitting of Parliament in June, and so end the impasse. Alternatively, the impasse continues, government rejects the Grand Coalition’s roadmap and the opposition tables another motion in the June sitting of Parliament. Whether they win or lose another motion would be based on their mobilisation of MPs. The above scenarios notwithstanding, civil society will undoubtedly increase its call for the release of the draft constitution, and some civic groups are likely to be in collision with government for the next few months. The constitution deadlock is not only bound to leave Zambians divided and lead to sporadic social unrests; it will also disrupt normal functioning of the state – hence the need for it to be resolved timeously by the Zambian government.